manipulations, and simply wrong conclusions stated in those articles. This particular article (not singling this one out, as there are literally dozens of similar articles published in various places) appeared about a year ago (May, 2015) on Dr. Judith Curry's blog ClimateEtc (CE). see link to CE article. "I will do anything that is basically covered by the law to reduce Berkshire's tax rate," Buffet told an audience in Omaha, Nebraska recently. 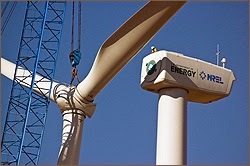 "For example, on wind energy, we get a tax credit if we build a lot of wind farms. That's the only reason to build them. They don't make sense without the tax credit." -- US News and World Report, 5/12/2014, "Big Wind's Bogus Subsidies"
Where CE authors are very, very wrong is the last bit: "Those wind credits are equivalent to earning (253/0.31) $816 million on his $5.6 billion wind investment—a 15% return before any operating profit from selling electricity." I won't quibble about the installed MW capacity (2953 MW) nor the $5.6 billion investment (it's probably a lot more, being built over many years when sizes were smaller and unit costs were higher.) The point is made without using more accurate figures. Also, I won't quibble about the wrong value CE authors used for the PTC, at $31.5 / MWh combined federal and state. (it is actually $33, with 23 from federal and 10 from state). Again, it makes zero difference in how wrong they are about the return on investment, and how wind energy makes "15 percent return." Again, the CE authors get almost nothing right. Next, they cannot compute economics correctly, either. The simple table below shows the year of operation, the investment in year "0" and subsequent annual revenue streams, in $millions. Note that only 10 years of revenues is allowed, as the PTC is only valid for 10 years. A cursory examination shows that the revenues do not sum to the investment, achieving something barely more than one-half the investment after 10 years ($2,530 vs $5,600). Under financial and accounting practices, such an investment has a negative return ( the DCF ROI or IRR is negative 12 percent, not at all the plus 15 percent as claimed). However, the investment actually has revenue from a PPA (as stated earlier) plus any tax credits. Recent data shows PPAs are approximately 3.0 cents per kWh ($30 per MWh) in the Great Plains where Iowa sits, although a few years ago PPAs were double that. The simple table below shows the first ten years for a combined PPA of $30 and PTC of $24, then years 11-20 for PPA of $30 only. Note, the $24 PTC is derived from $23 at full 2953 MW plus $10 for the limit of 363 MW per Iowa law. 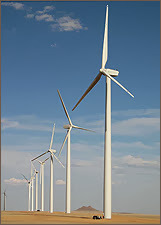 It is clear, then, why Buffett says the wind farms make zero sense without the tax credits. The investment barely breaks even when tax credits are applied. Without the tax credits, the ROI above is slightly negative at minus 3.3 percent. How, then, does a savvy investor like Buffett make money in wind farms? The answer lies in the full financial analysis that involves fast depreciation of the investment, plus using debt financing for a portion of the investment. It is also clear that the CE authors are very much biased against wind energy systems, as they completely missed the mark in the return on investment.